We are proud to provide a state-of-the-art facility for the highest quality foot care available. It is one of our top priorities to protect the well-being of our valued patients. We are handicap accessible conveniently located at 4737 24 Mile Rd., Shelby Twp. MI , 48316. 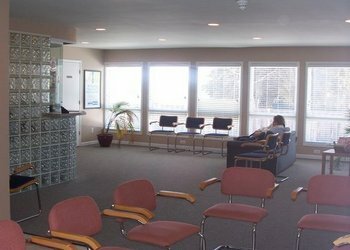 For your convenience we have on-site X-rays, vascular lab, minimal incision surgery ,orthotic lab, and electronic billing. We will be more than happy to submit all insurance forms for you and help you recover the most from your benefits. We will do everything we can to help you afford the treatment you need. For patients who require substantial care, a complete payment plan is designed with an appropriate payment schedule. Forms of payment accepted by the office are: checks, cash, or any major credit card.